Original art purchased from the artists represents an investment to last a lifetime. 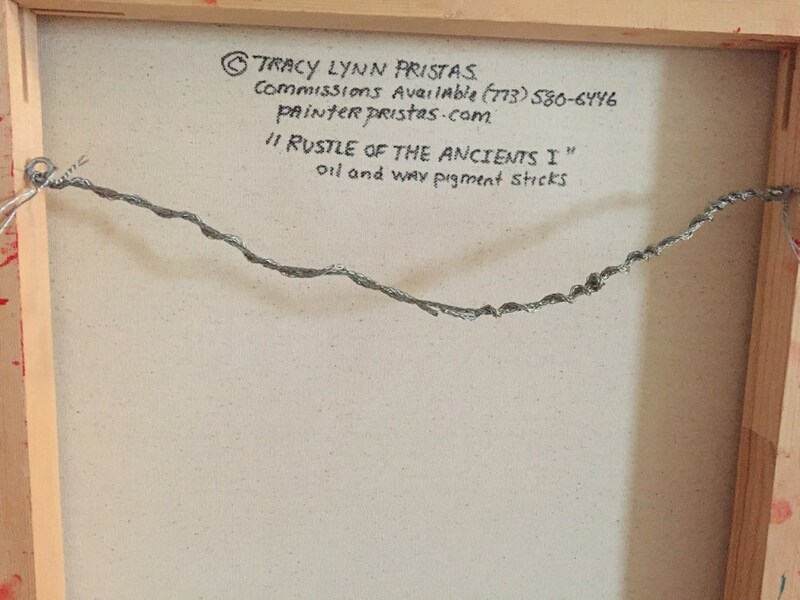 Start your collection with this stunning affordable original oil painting by established artist Tracy Lynn Pristas. Listen and you will hear the powerful roll of thunder that echoes over the mountains in this southwestern abstract painting. Richly textured bold oil and wax abstract that will uplift any interior.All original paintings ship free one way to the USA and Canada. The purchase of this all original composition and design of bold colors with just the right amount of neutral tones is the way to make a statement that brings uplifting energy to your home. 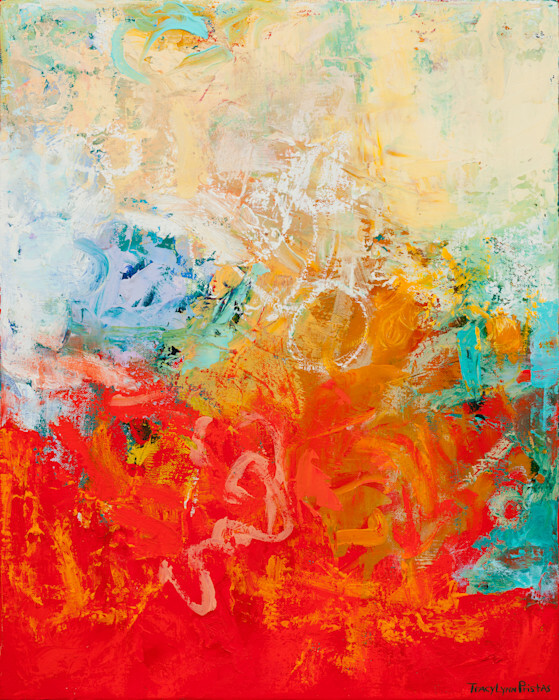 Original art purchased from the artists represents an investment to last a lifetime.Start your collection with this stunning affordable original oil painting by established artist Tracy Lynn Pristas. Listen and you will hear the powerful roll of thunder that echoes over the mountains in this southwestern abstract painting. Richly textured bold oil and wax abstract that will uplift any interior. You deserve exceptional design in your wall art decor therefore start with this original design by commissioned artist Tracy Lynn Pristas. Listen and you will hear the powerful roll of thunder that echoes over the mountains in this southwestern abstract painting now available as a print. You deserve exceptional design in your wall art decor therefore start with this original design by commissioned artist Tracy Lynn Pristas. Listen and you will hear the powerful roll of thunder that echoes over the mountains in this southwestern abstract painting now available as a print.You will thoroughly enjoy this bold abstract that will uplift any interior. For additional design opportunities pair this print with Rustle Of The Ancients II.